-InGen helicopter, as seen in the movie. I've got several different ones lying around. Someone else would have to retexture them, though. -Various buildings based on the architecture of Panama City, Panama. -A small variety (3-4) of civilian cars. I have some free ones I got, but you'll need to sort out which ones are low-poly enough for Trespasser.
? What do you have in mind? 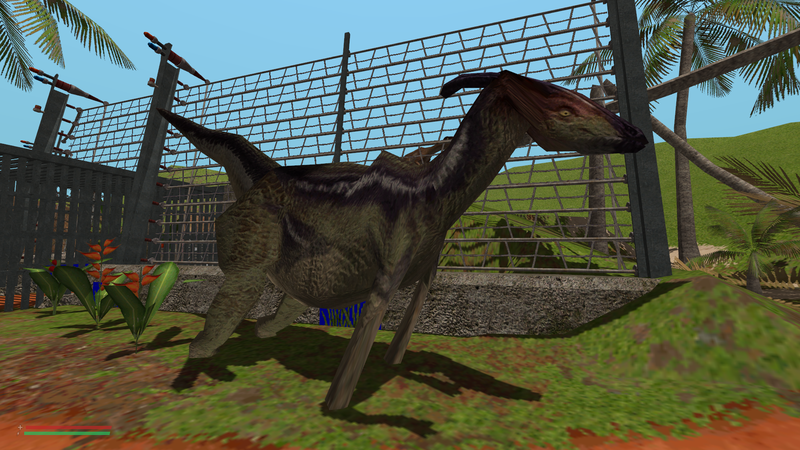 -Animal models, not entirely limited to dinosaurs. -Several buildings and locations not seen in the movie - either fully original or based on those from the Telltale video game. Send me a PM if you're interested so we can discuss getting these structures done as accurately and efficiently as possible, and so that I can add you to the team! Thanks for the listing, machf. I'll PM you. One of the only satellite images of this access-restricted island to be leaked to the public, located 120 miles west of Costa Rica. 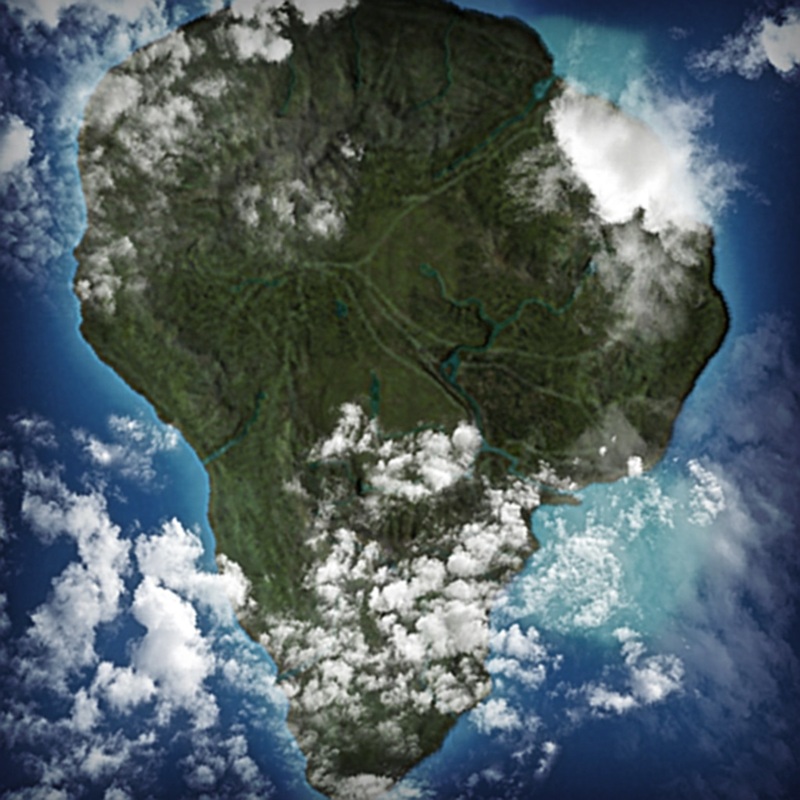 A cloudless version of this image will serve as a GPS map of Isla Nublar for use as the player's map in the level to aid in navigation. I also managed to mess up the scale of the mesh somehow, so the actual skeleton and physics are tiny despite the scale of the animal itself (this actually puzzles me moreso than the weird rigging). I was trying to keep it simple by just converting the TC para to a quadruped, but evidently I managed to fail something along the way. Oddly enough I haven't had to deal with the rescale issue such as the Leopleurodon suffered. Not sure how to go about fixing it or what causes it. Possibly make sure the scale of your to-be-rigged dino and the scale of the dino rig you're using (from Tres) are the same, first. Well, it happens all the time, until you get the hang out of it... and I still have to dig through the code to find out what exactly causes it. And as Drac said, that second image isn't loading. The second image was just one of Marvin the Martian saying "Back to the old drawing board". I had to get it from a really poorly-designed site because I couldn't find one anywhere else. I haven't had time in the past week to try rigging this thing again, but I think at least I know where I went wrong with the scaling now. Either way, it's just nice to see that it worked at all. Looks like a scene from my proposed "Jurassic World 3" synopsis. The open, grassy central plains span from the western river valley to the volcanic fault line which runs down the center of the island - another reminder of the island's birth as a seamount thousands or perhaps millions of years ago. 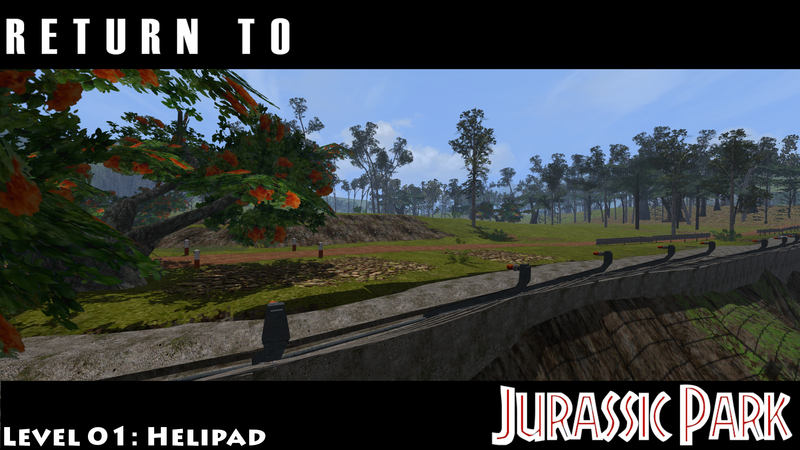 A short electrified fence runs along the edge of the hundred-foot cliff to mark the inner border of the brachiosaur paddock, ending at another of Isla Nublar's picturesque waterfalls which feeds the jungle river down below in the lowlands. Many trails and access roads cut across the plains to aid InGen staff in caring for the brachiosaurs and parasaurs that call this region home. Figured it had been a while since the last post, so here's an update! As I stated in the description, the central plains are quite expansive (in fact, just this part of the island covers more area than the original BE level) and contain the lake where the famous "It's a dinosaur!" scene takes place. Several fast-flowing deep rivers cross this part of the island as well, which makes travel restricted in some directions, but you can expect plenty of open space covered by low shrubs and tall grass. Beware, though, as over the years the park's tyrannosaurus has developed a liking for parasaur meat... Aside from that, small quality-of-life updates are being made constantly, as every little model and detail helps get Helipad closer to completion, but there is still much work to be done. Lookin' good. Are those background trees not found in MegaJungle? You mean the tall "plains"-looking ones? No. I don't think they'll be included in MJ, at least until Helipad is out, simply because they're meant exclusively for RTJP (and because, for whatever reason, looking at their top branches lags the game, which I need to fix). I like to update MJ with fresh assets every now and then, but I do still want to keep some models for the release of RTJP. One thing I plan on doing eventually is making HD-er models of the old Tres plants and using those in place of the originals, but that's not a priority. I do however intend to replace as many Tres models in the level with new/alternate ones at some point (for instance, replacing the small, flat ground ferns with similar Amaumau ferns from MegaJungle).